Andre’s offers group food tastings 3 times a year and we invite you to come in and sample the style and quality of our food. 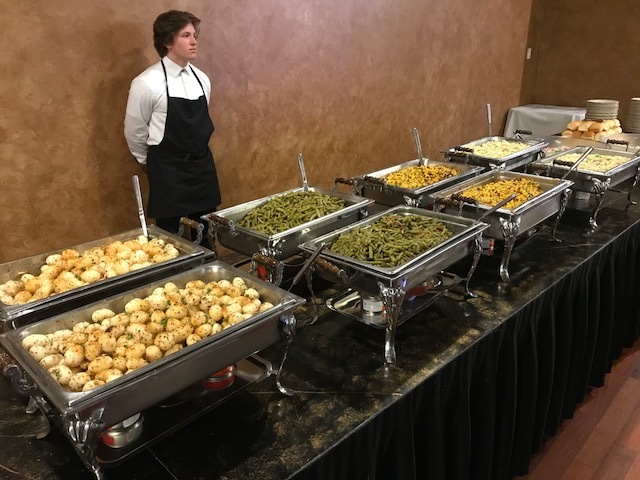 In addition to sampling our most popular menu items, we have our preferred vendors on site to answer questions on tuxedos, invitations, photography, florists, DJ and limousine services. As an added bonus, if you use four of these services we take $100 off your event balance! Please contact an Andre’s coordinator at (314) 894-2622 for the date and time of tasting and to RSVP for the tasting. This event is open to Andre’s customers or couples that have toured an Andre’s location or are interested in our off premise catering services. Reservations are required.